I love that our My Digital Studio can create sooooo many amazing things! 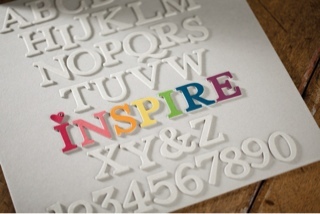 Here is a sampling of some great pieces of inspiration that Stampin' Up! Created with our MDS2. An amazing program that is so user friendly! I love creating inspiration and gifts with it! If I can use this, almost anyone can! This is a wonderful time for you to take those vacation pictures or even those "last year" Christmas pictures you haven't had time to get to and put them in a Digital Photo Album. You can make calendars and when you are organizing your life with them....they can bring a smile to your face. 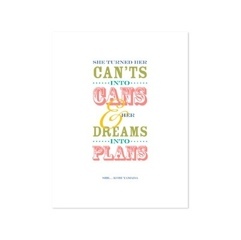 It will only take a short time to get yourself organized and you will be LOVIN' MDS2. Please click here and take this 30 FREE trial and have yourself a ball organizing your pictures. I have heard that some of your are not very creative???? MDS2 has templates already made for you and all you have to do is drag your photos into the template. HOW easy is that! Again, please click here TO let the fun BEGIN! Please contact me NOW for any help you may need or to place an order. I am here Creating Cards For YOU! Framelits Dies are metal, so you have to be very careful not to bend them. They cut with precision, layer beautifully and are the hot ticket in the Stampin' Up!. Framelits Dies are easy to use with the Big Shot Die-Cut Machine and some have coordinating stamps that match. I have a friend who's name is Libby and she created this wonderful tutorial about creating a border for the Apothecary Accent Framelits. Enjoy her tutorial. Adhesive - Snail & Dimensionals (to adhere to your project. So, now you have 3 little frames. Take 1 of your pieces and cut as shown above. Adhere the pieces to the back of your main frame as shown above. I find it easier to adhere the end pieces first followed by the side pieces. However, you come up with your own method that works for you. Now, this isn't perfect as you do get a double point at each point. However, I don't feel that detracts from the image you are trying to get. I've used the same white and pink as I used in the tutorial above, so you could see more clearly the finished effect. Add dimensionals to the back and adhere to your project. Didn't she make a great card? I love this tutorial! Thank you Libby for sharing this with me! Leave me a message or send me the card you designs after using this wonderful tutorial! This is a great video on how to create the front page of an outdoor journal or really, any journal. Get yourself some composition books and start your journal. 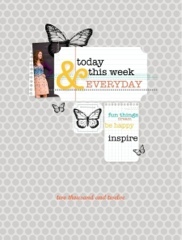 This is also a great way for you to help your kids make diaries that they decorate. It's a great mommy and me time with the girls. Sit back and enjoy this wonderful technique...it is also called faux suede. MDS 2 is Ready for You! It's easy: You'll quickly learn how to manipulate tools and artwork to create awesome projects. It's quick: With all the templates for cards, photo layouts, calendars, and more, you'll have your projects finished in no time! It's versatile: If you don't find a template to fit your needs, create your project from scratch--stamps, embellishments, papers, and colors are all at your fingertips. No matter which option you choose, you'll be able to purchase all the extra digital content you could ever want from Stampin' Up! 's weekly release of new downloads. If you haven't started creating digitally yet, but think you'd like to try it, this is a great time to get your feet wet. If you're already a MDS aficionado, then upgrading is a no-brainer. MDS 2 has over 75 new features that will greatly enhance AND simplify your digital creations. Some of my favorite new features are listed in the table above, but if you want more information, you can Download a complete list of the New Features of MDS 2. 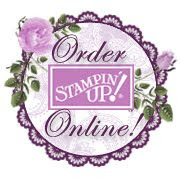 Order MDS 2 from Stampin' Up! today If you're ready to go digital, MDS 2 is ready for you! Thank you Stamping Madly for this wonderful information! for you to scrapbook, make calendars, get your Christmas gifts organized early, and if you love the downloads - you will get 31% off of them. this is a deal for you! Please call me to help you get started. Thank you for visiting! WOW! We are finally having a heat wave going through Seattle. OMG! I love this template and I wanted to show a couple more pair of shorts. I have a tutorial and a template, just press here to view. Have a great weekend. It is really a fabulous sketch! I love Halloween. It's one of my favorite holidays. Here is my creation! Of course I had to make it a little more complicated than need be! I wanted something fun behind those doors. I love hearing the door bell ring on Halloween and as I answer it with candy; my favorite part is seeing all the kids in costumes. Their eyes are full of wonderment and excited to see how much candy they can receive. So I had to try to put that feeling into my card. I had the idea about the doors, so I had to get out my BIG SHOT, you gotta have a big shot - it's the best investment I have made! I needed a door of some sort, so I found my Peekaboo Frames Bigz L die. Ran a piece Old Olive, Rich Razzleberry, and Pumpkin Pie cardstock through the Big Shot. I love the new Howlstooth & Scaringbone DSP so I had to have that paper be part of this card. This DSP is found in the NEW Holiday Catalog. I love black and gray...two great colors together. I wanted to give it a little texture so I put the DSP in the Spider Web TIEF and after I ran it through the Big Shot, I sprayed it with some Champagne Mist Shimmer Paint mixed in alcohol. It is hard to see the sparkle from this picture. Also from the Holiday Catalog, the Googly Ghouls clear stamp set. I used Versa Mark and Black Embossing powder and stamped the three images on Very Vanilla. Punched them out with 1 1/4" Circle Punch. I placed the three circles on the card and adhered them with Tombo glue and our snail. I stamped the Black embossed BOOOO on Basic Gray and punch it out with Modern Label Punch. I punched out a piece of Very Vanilla Cardstock cut it in half and give it a layered look. Adhered it with a couple of dimensionals. Added the 1/2" Black/Gray Striped Satin Ribbon on both corners. I layered the DSP to Black Cardstock and then both to Very Vanilla Cardstock. I took some Rhinestone Basic Jewels and added it to my three images. I wanted to give them a glassy look! I added the Googly Eyes to the BOOOO words. When I got done, the card looked a little dull...I needed something on the front of the Peekaboo frames. I wanted "trick or treat" but I didn't have a stamp that said that. My hand writing isn't the best so I thought of the next best thing...WICKED COOL CLEAR STAMP SET! I took the words "have a WICKED halloween" and put it on the outside of all the Peekaboo frames...it gave me the effect I wanted..."that waiting to see who is outside my door on Halloween!" Thank you so much for stopping by. Please leave a comment below...I love to hear from you! I am always Creating Cards For You! My New Mittens and 99 Cents!! This week I am participating in a Challenge and to my surprise it's all about our Designer Series Paper! I love our DSP; it has exclusive artwork and colors. Each packages contains 10 sheets of 12″ x 12″ double-sided designs. The greatest part of our DSP is it coordinate with our card stock, inks, markers, etc. 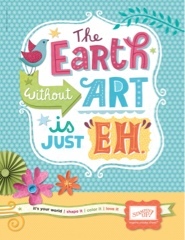 DSP is a great choice for scrapbooking and it also adds a great accent to any card you may create. Really, it's a great "GO TO" paper! Whether you are using it for 3D projects, covering chipboard, scrapbooking, or decorating cards; it is easy to work with and add a little touch of love to whatever you are doing. This card contains NO stamping and I like how it turned out. If you are interested in looking at the DSP Challenge, please press here. Our amazing, beautiful fabric for .99 cents! Here is a list of all the fabric that is on sale right now! Please click here to shop on my on-line store! There is no limit to the quantity of these Designer Fabrics that you can purchase; however, this offer is only good while supplies last. Please go to the Clearance Rack for more wonderful deals! Nip and Tuck. I will have a tutorial for you soon. This is a lot of fun and it adds a different look to your cards. With this card I used Rich Razzleberry as the base. After I made all the cuts and then the fold, added a layer of Basic Black. Whisper White sheet to the inside of the card. I feel like it really helps the card POP! projects is why I love being a demonstrator! So please sit back and enjoy this wonderful You Tube video! Have a great day! If you have any questions about becoming a Demonstrator, please email me. Stop by in the next couple of day for a Tutorial on how to create this fancy fold. My swimming trunks or shorts. The template can be found here and I hope you will enjoy the video. The cards will be fun to create. The template may be a 1/4" short on each side...just know it makes a full card. Please email me if you have any questions or please go to my online store to order any of the supplies you saw in this video! I would love you to leave me comments. Thanks for stopping by! Here is a great video getting you excited about MDS! The ability to design scrapbook pages in spreads instead of just single pages. You'll be able to design two adjoining pages at one time, and be sure you like how they fit together. You can create custom canvas sizes, instead of being limited to the few sizes available in the original version. For example, if you want to design a 3" x 5" card now, that size isn't available as a canvas, and you'll have to design it in a larger size and cut it down. In MDS 2 you'll chose the dimensions YOU want. In my studio, I often color a stamp with different markers to get a multi-colored image--especially with flowers and leaves. With MDS 2 you'll be able to do that digitally. Do you ever get frustrated when resizing an image and find it getting fuzzy and distorted? With MDS 2, you'll be able to change size without losing any of the crisp detail of the original image. If you purchased My Digital Studio on or after May 8, 2012, you'll be able to upgrade to MDS 2 for FREE. If you've had MDS longer than that, the upgrade, including all 75 new features, will only cost $19.95. So what should you do now? 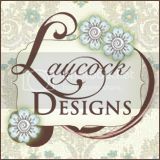 Keep using My Digital Studio, and advantage of the new digital content Stampin' Up! releases each week. If you haven't tried MDS yet, download the FREE 30-Day Trial and get started today discovering the fun of digital creations. All of the design functions are included in the trial version. When the 30 days are up, you'll be able to purchase the trial version for $39.95, or you can choose the full CD version with an extra $500 worth of digital content for $79.95. Please take advantage of this wonderful deal! Holiday Catalog starts this month! If you're already addicted to digital scrapbooking, cardmaking, and all the other projects you can make with My Digital Studio, then you're going to love August! If you haven't ventured into that world yet, then this is a great time to get your feet wet, or your fingers tapping, or whatever the right analogy would be. Just start your FREE 30-Day Trial of My Digital Studio today, and when you're trial runs out, purchase MDS 2 as seen in the Holiday Catalog. Get 31% off 31 digital content options and most of our print products for all 31 days in August! Feed your My Digital Studio addicted customers and tempt the ones that aren’t. With digital goods on sale and the 30-day FREE trial of the software, August is the perfect time for them to enter the digital designing craze and see what it’s all about. Some of our best digital content. 30 downloads and 1 content disc. 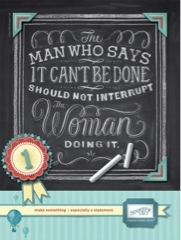 For the Digital Crafters out there, Stampin’ Up just makes your digital life easier! Take advantage of this wonderful August promotion. Please don't be shocked when August 31st comes around and you miss this great deal. If you haven't tried My Digital Studio, this is a great time to do so...30 days free with all these sliced prices...it really worth giving it a try! SO, head over to my online store and get a few of these wonderful downloads.